House training is the first thing that needs to be addressed when your new puppy comes home. 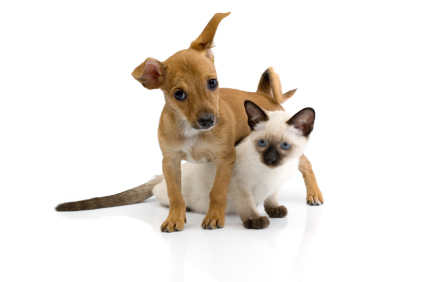 Guidelines should be set out so that each family member remains consistent and your puppy does not become confused. You are in luck, dogs are creatures of habit and do not like to soil their den and nest areas. If you can establish good habits early on and prevent mistakes you should have a well house trained puppy in a few short weeks. Establish a regular feeding schedule. Puppies have a strong urge to eliminate after eating and drinking and having a schedule will better able you to predict when your puppy needs to go outside. Remove water before bedtime to reduce the need for your puppy to get up in the night. Choose a spot outside where you would like your puppy to eliminate. The more your puppy eliminates there the more it will be drawn to that area by smell. Take your puppy outside to the designated area at regular intervals. Choose a cue word (such as “go potty”) and say it enthusiastically to them while they are outside. Walk back and forth with your puppy until it eliminates and be sure to give lots of praise when they do. A small treat can also be used to encourage the good behaviour. If your puppy has not eliminated after about 5 minutes of walking around, take them back inside and try again in about 20 minutes. Keep your puppy confined when it is not supervised. A crate is best but you can also use gates to section off an area. Be sure the area or crate is not too big; your puppy should be able to lie down comfortably, and stand up and turn in a circle. Your puppy will be more likely to keep the area clean when it is the appropriate size. Be sure your puppy has had enough play and exercise before confining it. Get to know your puppy, they can only hold it for so long and every puppy is different so get to know what is normal for them. There is a general rule that a puppy can be expected to hold on an hour for each month in age plus one hour. So a 2 month old puppy could be expected to hold it for three hours. Do not leave your puppy confined any longer than they can be expected to hold it. This will include overnight, so plan to get up and take your puppy outside once or twice in the night. Remember that preventing mistakes is key so be sure to supervise your puppy at all times. Your puppy will not get tired of going outside and the more time you spend with them outside the less likely they are to eliminate in the house. You should soon see your puppy heading towards the door when it needs to eliminate. After your puppy has been accident free for about a month you can slowly decrease your confinement and supervision. Within 30 minutes of eating, drinking or playing. As soon as they wake up in the morning or after a nap. If your puppy starts showing “pre-elimination signs” (circling, squatting, sneaking off or moving towards the door) take them outside immediately. Take them outside immediately after removing them from their confinement area or before putting them in. Accidents are to be expected and don’t be discouraged when they do. Here are some guidelines to follow when they happen. If you catch your puppy in the act try to interrupt them by saying “hey” or clapping your hands. Pick them up immediately and take them outside. Be sure to praise them when they do eliminate in the proper spot. If you come across some urine or stool in an inappropriate spot do not punish or point it out to your puppy. Promptly clean up the area with a disinfectant and odor eliminator to discourage that behavior in the future. Be sure to avoid the things listed below. Do not punish your puppy for mistakes. This could lead to your puppy being afraid to eliminate in your presence and could lead to them not being comfortable eliminating outdoors. Do not simply open your door and let your puppy outside. First you are not able to observe whether your puppy has eliminated and second your puppy is missing out on your reward when it does the correct behavior.